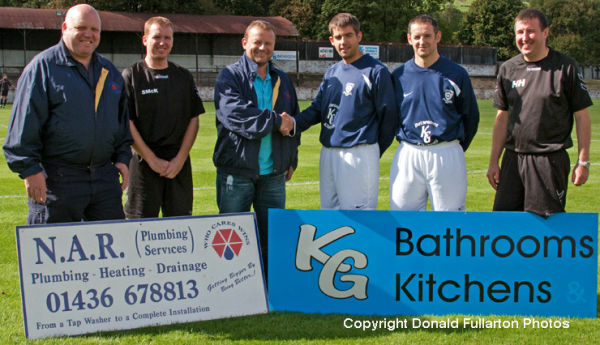 Vale of Leven 1st team strip sponsored by KG Bathrooms & Kitchens and N.A.R. Plumbing Services. Pictured left to right: Neil Matthews (Managing Director, NAR), Scott McKernan (coach), Keith Gibson (Operations Director, KG), strikers Mark Bowie and Hugh Ward, Hugh Hamill (manager).